Word for Today: Ask God for spiri of understanding. Word for Today:Ask for the spirit of understanding. 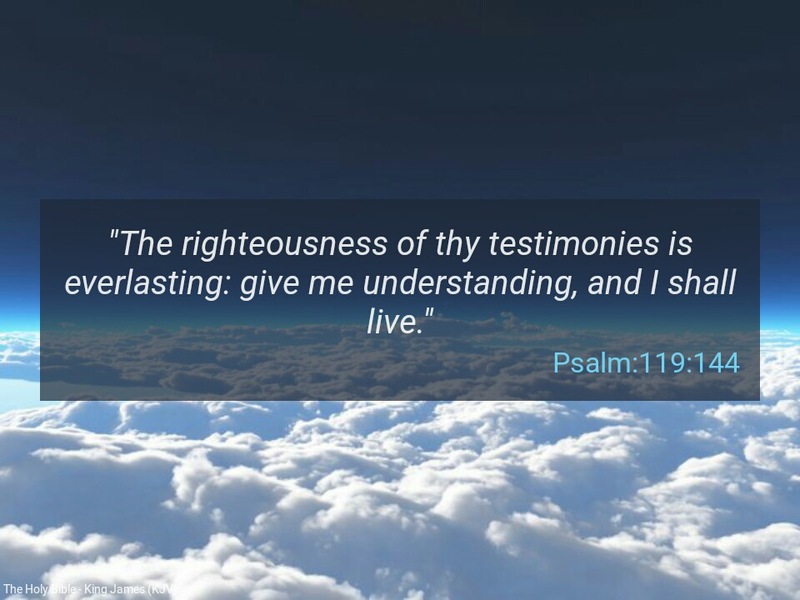 “The righteousness of thy testimonies is everlasting: give me understanding, and I shall live” ( Psalm 119:144). Everything in the Kingdom of God is given to you according to the level of your faith and understanding. Wisdom is the principal thing, therefore get wisdom; and with all thy getting get understanding (Proverbs 4:7). The bible is full of treasures and it is the will of the Father to give gifts unto his children but it will only be delivered to you according to the level of your faith and understanding. You can not find God with your head, through a mere intellectual exercises; you can only find God with your heart through the Spirit. The Word says: “But the natural man receiveth not the things of the Spirit of God: for they are foolishness unto him: neither can he know them, because they are spiritually discerned” ( 1Corinthians 2:14). In the gospel, through understanding, Peter was able to declare through the Spirit that Jesus was the Son of God because he had a heart for God and it was revealed to him through the Spirit (Matthew 16:13-17). Dear Father, please give me the spirit of understanding and faith in your word in Jesus mighty name. Amen. Previous Previous post: Word for Today: Spend your time well, avoid procrastination. Next Next post: Word for Today: Simple obedience-children obey your parents .